Created in the late 1990s, the AIBO provides companionship to various family members. The developer Sony has just unveiled a revisited model with security service which will soon appear on the Japanese market. As the population is rapidly ageing, digital companions are getting more and more popular especially in Japan. Sony has recently unveiled its AIBO robot which has received a major upgrade. One foot tall, the dog will be able to roam around the house and check up on family members at a specific time thanks to facial recognition. Partnering up with the firm SECOM, Sony will be offering a 1,480 yen-a-month plan. Indeed, the company has set up a revised security service which will enable progress reports to be sent directly to the user. Furthermore, the AIBO comes with a steep price, with a 3-year deal costing around $3,000. 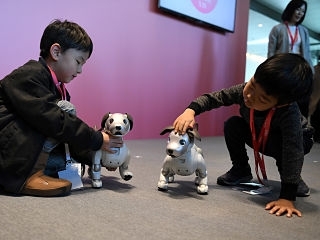 During the CES 2019, several robots offering companionship like the AIBO have been introduced. For example, the Lovot from Groove X also comes with facial recognition and has been designed specifically to make its user happy. The Codi from Pillar Learning has been created for children and provides customisable content. Another device called Paro is aimed at people with psychological problems and has been proved to work. Originally launched in 1999, the AIBO was only renewed in 2017 after 11 years. According to Sony, the latest robot was quite successful, with six months sales reaching up to 20000 units.